Although we can’t expect things to be like ‘back home’, many of us do miss certain things that we are used to in American recipes. While French has wonderful ingredients, for bakers, it can be a challenge to adapt to new ingredients or ones that behave differently than what we’re used to. Here’s a list of commonly used baking ingredients and where you can find them, or what you can use in their place. Happy baking! Many grocery stores and cheese shops sell lait ribot, fermented milk from Brittany. Arabic markets also sell fermented milk (lait fermenté) as well. 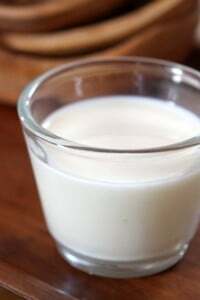 In many recipes you can substitute plain whole milk yogurt or you can milk 1 tablespoon of white or cider vinegar, or lemon juice, with 1 cup (250 ml) of whole milk and let it stand ten minutes. For sour cream, full-fat (20%) fromage blanc is the closest substitute for baking. Crème fraîche, which is usually at least 30% fat, can be used as well, but is richer. I also use Bridélice, a low-fat dairy product (called crème légère, or “light cream”), whose 15% fat content is similar to American-style sour cream. Heavy cream is called crème liquide, crème fluide, or crème entière in French. Both are liquid pouring creams. They are available in supermarkets. 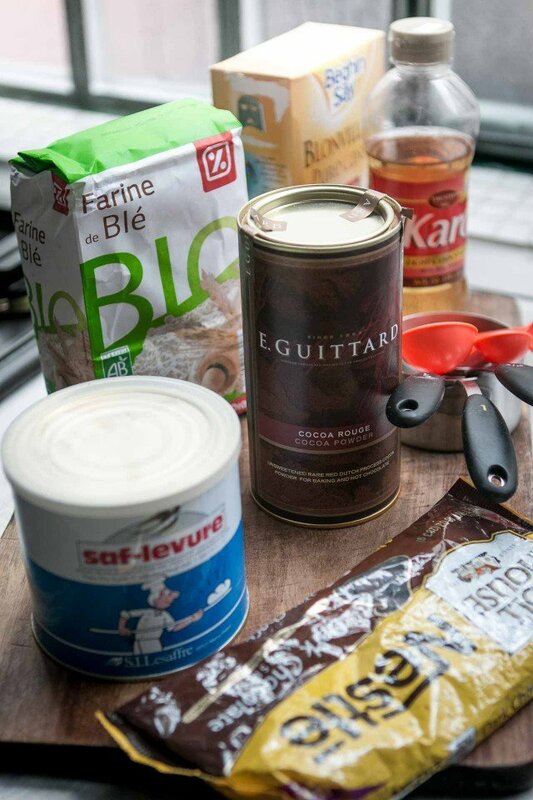 (Be aware that entière is full-fat and légère is low-fat, which containers thickeners and will not whip.) The fat percentage of crème entière is usually around 30% whereas American cream is about 36%, although it behaves the same in most applications. (For whipping, get the cream with the highest percentage possible.) Fresh cream is available in supermarkets in the dairy case; be aware that sterlized UHT cream is common in France, which can be challenging to whip, and is refrigerated or unrefrigerated. Some fromageries sell heavy cream, although most offer UHT cream. Beillevaire fromageries carry fresh, raw heavy cream. 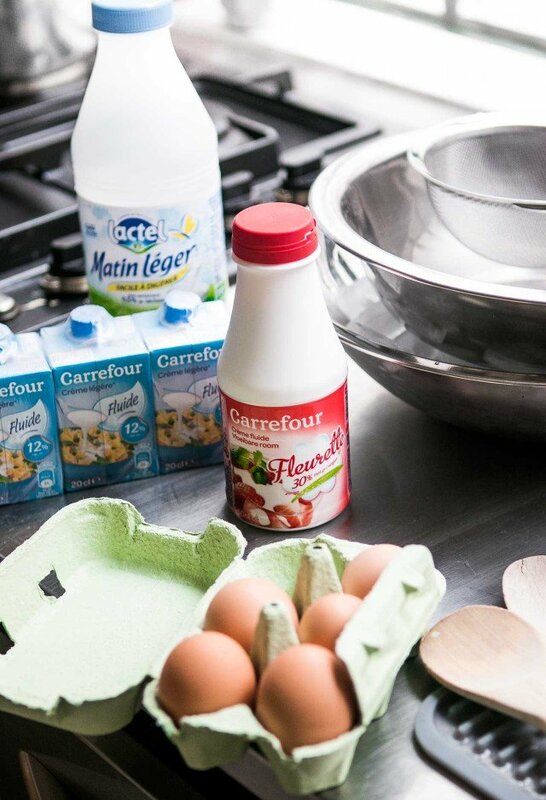 Monoprix carries their own brand of heavy cream in small plastic bottles, and Elle & Vire is one brand that sells UHT cream in paper cartons, as well as crème entière épaisse, which comes in a pouch and is quite thick, but works well in most applications that call for heavy cream. To replace the sticky brown sugar used in American recipes, there are two options. One is sucre vergeoise, which is beet sugar sprayed with caramel-coating (to resemble brown sugar) and sucre cassonade, which is unrefined cane sugar. Both are available in dark and light variations: light (cuivrée) or dark (ambrée), for cassonade. Sucre vergeoise is more available, found in supermarkets, although I prefer cassonade, which can be found in supermarkets (most often under the Daddy brand, which they sell online at La Boutique Daddy and you can find other brands at natural food stores, like Naturalia and Biocoop. Coarse crystal, free-flowing (poudre) cassonade is available in most grocery stores as the French use it for coffee and baking, and can be substituted in some recipes, although I prefer the sticky varieties when a recipe calls for light or dark brown sugar. 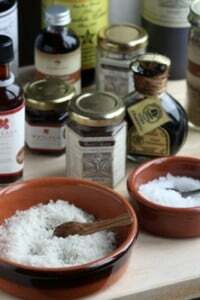 You can read more detailed information in my post: French sugars. Flour varies from country-to-country. 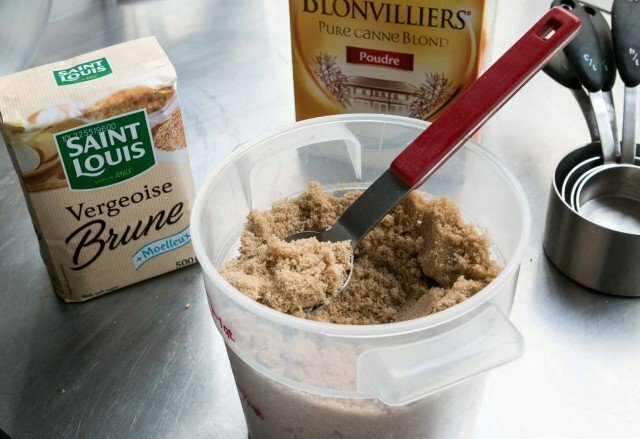 French ‘all-purpose’ flour (type 45 and type 55) is closer to American cake flour: it’s milled very finely and has less-protein and gluten (strength). In most cases, you can’t just substitute French all-purpose flour in American recipes like cookies and cakes. I know too many Americans who opened the oven door and found all their carefully rolled-out chocolate chip cookies, melded into one, giant blob. If you’re interested in the precise composition of both flours, you can read about them American vs French flours and French flours. Chow published a French & American flour equivalent chart. For more specific information about French flour, in English, check out French Flours (Cooks Info), French Flour (Joe Pastry), and Understanding Flour Types (Weekend Bakery). In spite of what you might read elsewhere, including in some of those links, I find organic type 65 flour to be the closest to American all-purpose flour, which you can find in natural food stores like Naturalia. 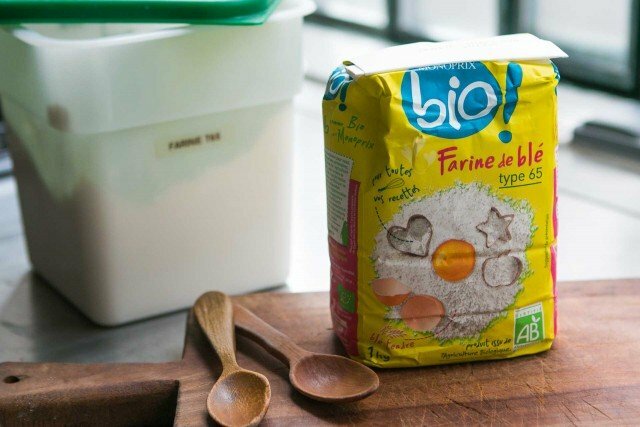 You can also buy type 65 organic flour at Monoprix and almost every supermarket. In all cases with supermarket flour in France, it will say the type (“T”) of the flour on the side of the package. Regular whole wheat flour can be found in most groceries stores, as well as in natural food stores. Type 110 is equivalent to regular whole wheat flour, and Type 80 bise is a lighter flour, similar to whole wheat pastry flour. 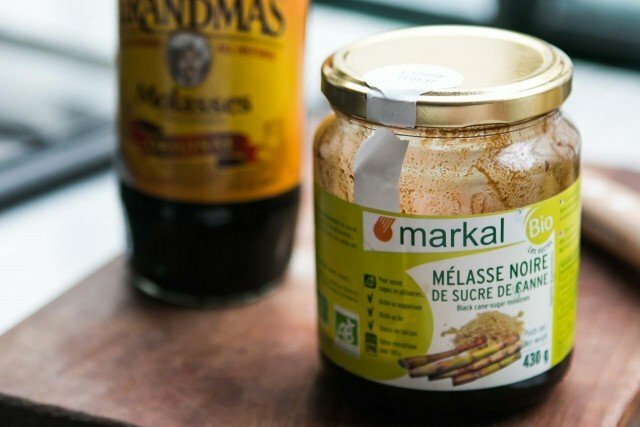 You can buy mélasse at natural food stores, but it’s sulphured, unrefined, and very strongly flavored. When using it in recipes, I cut it with some mild-flavored honey. Otherwise it can overwhelm all other flavors in whatever you’re baking. (Unless you like that strong, molasses flavor…then, go for it.) American-brands of mild, unsulphured molasses, as we know it, are available in stores that cater to the expat community. Treacle, available in British stores and markets that carry British foods, is a close substitute, but is similar to blackstrap molasses and quite strong. In a pinch, cut it 50:50 with mild honey, unless you like the strong molasses taste. Packets or tins labeled levure du boulanger are regular, active-dry yeast. Levure instantanée is instant yeast, which means it doesn’t need to be proofed. Levure du boulanger levée rapide is rapid-rise yeast, which is different than “instant yeast.” Fresh yeast is available at natural food stores in the refrigerated section, as well as in shops that sell Middle Eastern foods, or you can ask your local boulanger if they’ll sell you some. Dried yeast is sold in packets, like the one shown above in supermarkets in the baking aisle. 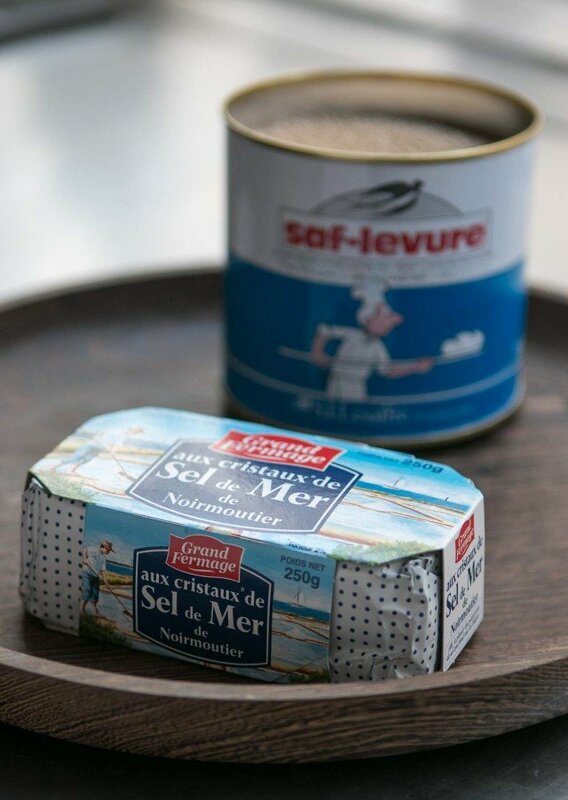 You can also buy it in small tins in specialty and professional food stores, as well as at Middle Eastern markets, usually sold under the SAF brand. Since yeast is a living organism, the yeast in Europe behaves a bit different than American yeast, but I’ve had few problems. You can test yeast by adding a teaspoon to half a cup slightly warm water; it should start bubbling within a few minutes if it’s still good. Here is a yeast conversion table for converting various types of yeast in recipes. Finding chocolate chips is regular supermarkets is possible, but they’re sold in very small packets and quite expensive. They’re called pépites de chocolat. In Paris, G. Detou sells chips in bulk and in disks, and expat stores carry them, as well as Le Grand Epicerie. 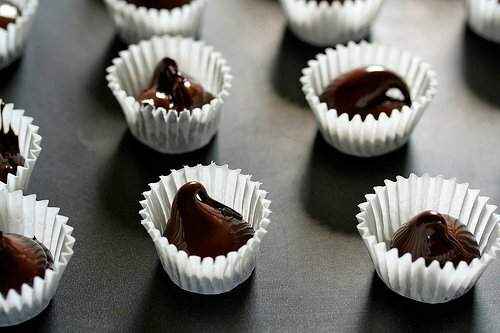 You can simply chop up a bar of chocolate, or buy Callebaut or another brand of pistoles (as shown in the photo) available at professional baking supply shops, such as G. Detou and Metro. American corn syrup is expensive, and sold at stores that cater to the expat community. 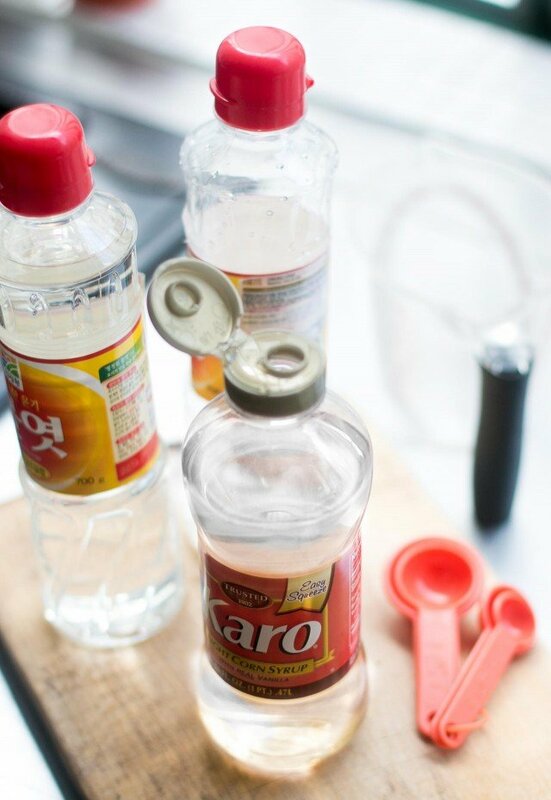 But Asian markets often carry corn syrup cheaply, as it’s used in Korean cooking. Stores in Paris are Ace Mart and K-mart (both are on the rue Sainte-Anne, a street packed with Asian shops and good restaurants) and Tang Frères (in the 13th). Professional baking supply shops, such as G. Detou in Paris, also sell glucose, which is essentially the same thing. If you need dark corn syrup, add a generous spoonful of molasses to the corn syrup. For more information about corn syrup, check out When To Use (and Not Use) Corn Syrup, which lists other substitutions. Various grades of cornmeal can be found in ethnic markets, mostly catering to the Arabic community. Polenta and cornmeal, such as those that are used for cornbread, can be found in those stores as well as in natural foods stores, labeled farine de maïs which is fine corn flour, or coarser, often called semoule de maïs. In Paris, many of those are clustered around Belleville and near the marche d’Aligre. Natural foods stores sell it as well. The best advice is to go and look because the nomenclature can vary. Corn starch is available in supermarkets under the name Maizena. It’s available in natural food stores under the name fécule de maïs or amidon. Potato starch (fécule de pomme de terre) is a commonly used thickener in France and works the same as corn starch in most applications. It’s available in supermarkets. 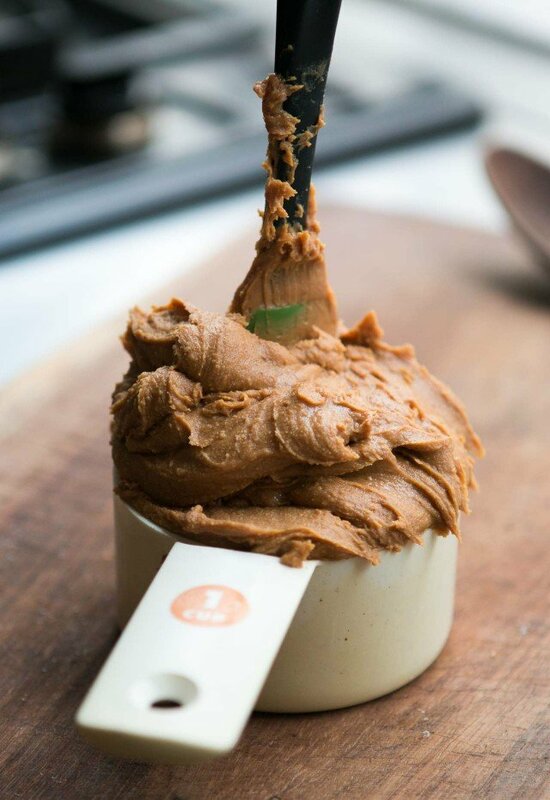 The peanut butter you find is generally 98% peanuts, with a small amount of vegetable fat added. You can also make your own by roasting raw peanuts in the oven and whizzing them in a food processor, while warm, until smooth. Natural food stores also carry “American-style” peanut butter, which is similar to our natural peanut butter, but not the same as brands like Jif or Skippy, and won’t behave the same way in recipes. Virtually all the cocoa powder in France is Dutch-processed, which means the cocoa powder has been acid-neutralized and is generally darker. It often will not say so on the front label, but may list the alkalizing agent (often potassium carbonate or bromate) as an ingredient. Although one should, theoretically, used what the recipe calls for, you can usually do just find swapping out one for the other. More information can be found at my post, Cocoa Powder FAQs. When a recipe calls for bittersweet or semisweet chocolate, you can use any of the dark chocolate baking bars found in supermarkets. If you live in Paris, G. Detou sells chocolate in bulk, in bars and pistoles, and is the best place I know to buy it. The membership-only Metro stores also carry chocolate (and other supplies) in bulk. G. Detou also carries unsweetened (sometimes called ‘bitter’) chocolate in bulk, which in France is called 100% cacao, or 100% pâte de cacao. Some gourmet stores carry it but in general, you won’t find it in supermarkets as the French don’t bake with it like Americans do. You can learn more about chocolate varieties and uses at Chocolate FAQs. 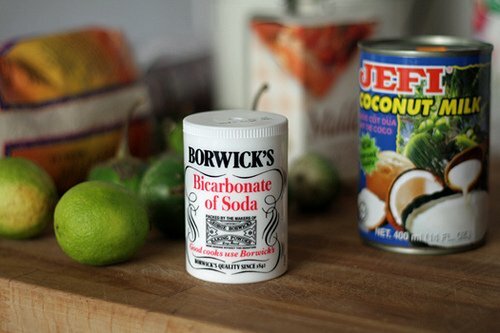 Some supermarkets carry baking soda (bicarbonate de soudre) and Indian markets usually carry it as well. It can also be found in pharmacies; you’ll have to ask since they don’t normally keep it on the shelf. 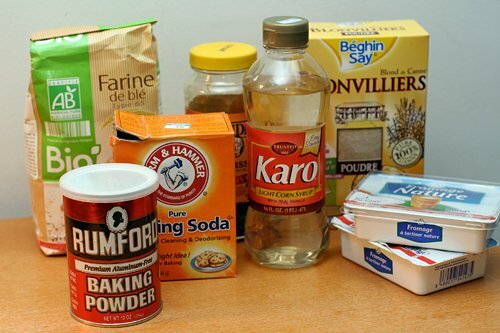 Baking powder is called levure chimique, and is sold in little packets in the supermarket baking aisle, although is sometimes referred to as levure alsacienne. I’ll admit that I bring aluminum-free baking powder over from the States and use that for baking. La Grande Epicerie in Paris carries Rumford, and you may be able to find it, or a similar brand, online. Evaporated milk is lait concentré non sucrée (concentrated, unsweetened milk), and is available in most supermarkets. 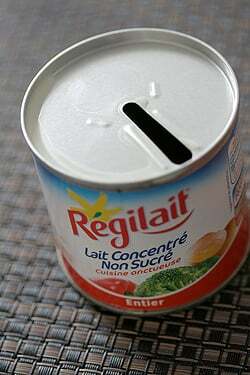 Sweetened condensed milk is well; it’s known as lait concentré sucré, which is sold in cans as well as tubes, like toothpaste. 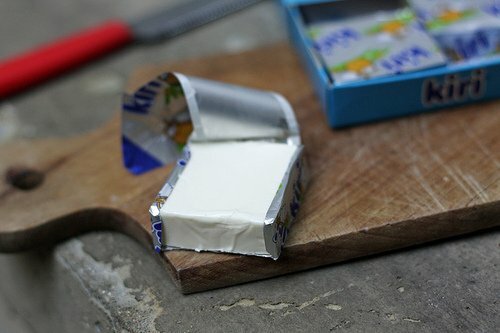 Cream cheese can be found in supermarkets under the St. Môret label, or store-brands, labeled pâte à tartiner, in the familiar rectangle shape. Ed discount markets has the best prices if you need a lot. Also cream cheese is available in Jewish grocers in the Marais, and some French people use Kiri squares as cream cheese for making le cheesecake. Philadelphia-brand cream cheese has decided to become a bigger presence in France due to its popularity with the French and can now be found at many supermarkets in France at reasonable prices. Below is a listing of the stores mentioned above, or shops that specialize in products for expats. I’ve noticed that the everyday supermarkets in Paris, such as Franprix, Carrefour City, and G20, often have sections that sell anglo products at decent prices and those are worth checking out, too. One new addition to Paris, beginning in 2016, the British chain, Marks and Spencer Food opened up around Paris. They carry baking soda, baking powder, yeast, dark, and light brown (muscovado) brown sugar, as well as other food and baking-related items. I’ve listed some mail-order places and although I haven’t ordered anything from them, if you really need something, they might be worth the extra expense. For cake pans, muffin tins, bakeware, and paper cupcake liners (and more), I prowl around ethnic neighborhoods. A favorite is the rue de Belleville in Paris; there are lots of stores scattered along that street, that carry baking items at very low prices. For those who want more professional-quality equipment, check out The cookware shops of Paris. It’s a good idea to measure your oven and baking equipment, especially if you’ve brought items to France from other countries as items like silicone baking mats are sized differently and may not fit. On behalf of all the frustrated bakers looking for substitute products in France, I thank you! Awesome post David! And I had to share with you that I’ve just found some organic peanut butter, containing just peanuts at Rose Bakery on Rue des Martyrs in the 9th. Its 5.50 a jar but its worth it. I’ve been without peanut butter all this time until now because like you I refuse to buy the ones loaded with junk in them.. In America, yeast is sold in a variety of forms and this can be confusing to the amateur baker. It’s not just in the refrigerator. You can get it on the shelves in packets, jars, and vacuum-sealed bricks. But the best product (as far as I’m concerned) is the instant SAF yeast sold in bricks, which I think is actually French. How and why do you season a new cutting board? What kind of cutting board would you season? David what a Fabulous post! I am visiting Paris this May and now the only thing I want to do is scour the groceries and find products we don’t have here in the States. I am sure my traveling companions will think I’m crazy. By the way, any suggestions on places to go? I’m already making plans to hit Pierre Hermé patisserie but was wondering what some of your favorite places to go are. But I’m on a college students budget. Sezz – huh? Golden syrup is very very British. Britain is situated firmly on the edge of Europe. I can get it here in CA but its not exactly what I’d call common in the US. ANyway – I digress – my question is about corn syrup. WHich I had never seen ever in any recipe, nor even heard of before I arrived in the US. (and i have done my share of moderately successful baking) Why is it in so many recipes here? Why is it necessary? Indeed can I replace with ‘golden’ which sounds kind of nicer than ‘corn’. What does it do? Golden Syrup is available here, and I love it. But it does have a particular (and yummy) flavor so you wouldn’t necessarily want to use it in recipes that call for light corn syrup, which has no flavor. Corn syrup is an ‘invert’ sugar and doesn’t crystallize, so it’s used in many candy recipes and dessert sauces so they don’t get grainy. 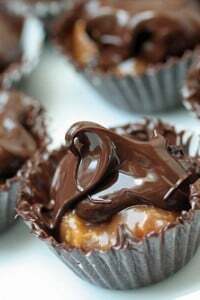 It also adds a nice, gooey texture to things like Hot Fudge. Same with Pecan Pie, which uses dark corn syrup, to make sure the pie stays runny and smooth and doesn’t turn into a grainy mess. Don’t tell my you don’t like a nice, warm, mineral oil rubdown once in a while yourself? New wood cutting boards should be ‘seasoned’ with a neutral oil to moisten the wood, and to penetrate and saturate the wood pores to keep it from absorbing juices, and the like. Use my search engine to find favorite spots in Paris. I write about them often. Also check the My Paris page here on the site. 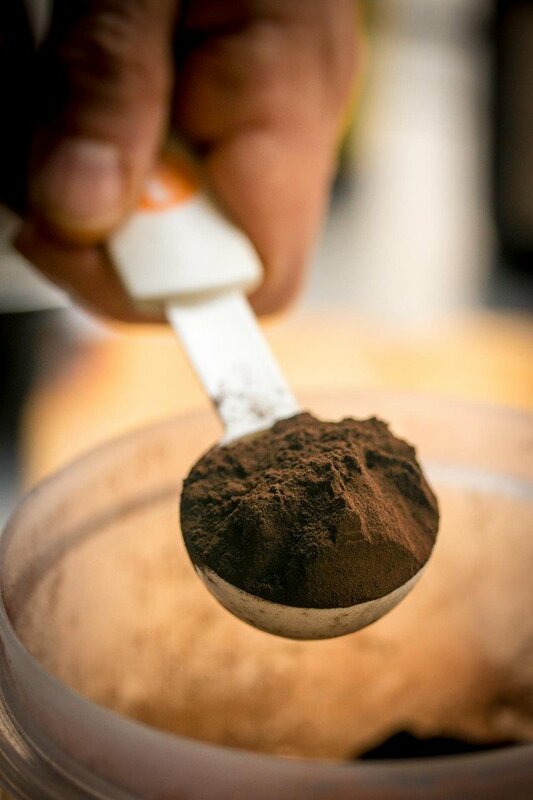 Dutching is common, and many folks feel it improves the taste of the cocoa powder. Indeed, most of my favorite cocoa powders are Dutched. I’ve never had Cluizel cocoa, will have to check it out. I like their chocolate very much and heard about the new store in NYC. Thanks for the tip. Am stocking up on peanut butter when I got to Texas next month. Bless you!! I’m about to post this link on the English speaking mothers group I belong to here in Paris – sure they will all be interested as it comes up about once a month “where can I find x ingredient/what can I substitutes?”!! Though I see Taina has already seen it…! David – UK doesn’t use the Euro because we declined to sign up to a common european currency when it was introduced – as a result our economy is stronger, our interest rates lower and Sterling (ie the GPÂ£) is stronger as a world (exchange) currency than the rest of the European Union. But I suspect you knew all that already!! Misschrisc: Pineapple syrup? Now that’s American-ingenuity for ya…you go girl. Wow, thanks for all the tips! I only have blackstrap molasses, but now I can cut it with honey to make your fresh ginger cake. I also prefer the taste of natural cocoa, so maybe I’ll use it in my dutch-process recipes! Why don’t you try making your own peanut butter? I’m sure you can get peanuts in an Asian market and grind them in a food processor. Kiri: You can find it! It’s called ‘pate de cacao’ and you can buy it in bulk at G. Detou (address in blog entry) and some chocolate shops carry it, although it will be more expensive. I’ve never seen it in supermarkets. At chocolate shops, it’s usually the tablet labeled 100 % cacao. Hi, you probably know about this place, but I was surprised to see that didn’t mention Thanksgiving, the cajun restaurant and American grocery that stocks a lot of that stuff. It may be more expensive; I can’t remember but I did go a lot when I lived in Paris. YAY!! Thanks for sending me over here! 2 questions- viergoise is slightly moister than cassonade- does that make any difference in an American recipe that calls for brown sugar? Have you ever found jalapenos in any form in France? It’s funny, because when I went there to get the address to post here, I saw that she actually has this very post of yours linked! Hey, when I lived in paris i would bring all these ingredients with me from the states. there was also the kosher store in les marais called Benchetrit that had many imported products. But eventually I embraced the French baking and now back in america I dont bother with cream of tartar for my eggs, i seek out french cheeses and butter, and oh I miss the ready made pate feuillete and instant creme patissiere! I came to your web page hoping to find out where I could get my hands on cream of tartar. I went to Biocoop the other day and asked for “creme de tartar” and the lady looked at me really strange. Please if anyone knows where I can find it let me know! Rita: I think you could find that at Thanksgiving, on the rue St. Paul in the Marais. I’d call them first, just to be sure. There’s also a shop called The Real McCoy may have it, too. Hi, I am so happy to find your blog! It helps answer all the questions I have for finding baking ingredient in Paris!!! I was having problem finding baking powder and self raising flour. Now looks like I have the brown sugar wrong too. Thank you for sharing. so sorry I didn’t see your blog before I visited Europain 08 in Paris two weeks ago. We had a great time, all 14 learners and my French lecturer collegue Eloise, I feel another trip coming up soon as I would like to browse all those fab specialist shops you mentioned. Thank you for the info on invert sugar and liquid glucose. Honey can also be used as a substitute in chocolate fillings to keep them smooth if the flavour is to your liking.As for golden syrup my mum has been using it for all her traditional Irish Breads in place of sugar as it keeps the crust soft and of coarse when shes out of jam and preserves it comes in handy for that slice of bread or toast. I keep a tin for gingerbread and parkin which I make in the college in Ireland. I am making chocolate chip cookies for my Foyer next week and am so glad I found this site before going out to buy my ingredients. I was only searching for baking soda, but its a good thing I read the part about flour because I would have been very disappointed with my French all purpose flour in my cookies! Have you found anywhere that has black beans? I love cooking Cuban food and at home I get black beans in a can, but I have yet to find any hear in a can or bag. I wanted to know if liquid smoke can be found anywhere in Paris. I want to make a smoky brisket for a Mexican theme fiesta and I need liquid smoke! Unfortunately, I JUST now discovered this most wonderfully, comprehensive list that, fortunately, will save me during my future EXTREMELY amateur baking endeavors as I adjust to life in Paris. Merci beaucoup!!! Sorry, just a quick question: When one of your recipes calls for Cake Flour (not self-rising), will regular “Farine de Ble” (not type 65) work, or should I use “Farine de Gateau” that has “levure chimique” already added? Thanks a ton – you’re such a godsend! Sarah: I rarely use cake flour in recipes, but if you have a recipe that calls for it, regular farine de blé is soft and should work just fine. Your site is the closest I’ve come to finding an answer to my question, which is: What is the equivalent in U.S. measurements, i.e., teaspoons or tablespoons, to the European packets of baking powder? I was given an Austrian cookbook that has conversions for almost everything, but not this. If I could even find how much a packet weighs that would help, but I’ve found varying information about that. Sally: I bring my baking powder over (or buy Rumford here) since I develop recipes for mostly an American audience. You can find exact equivalents of French soup spoon and “coffee spoon” then matching it with the weight noted on the packets here. Or simply open a packet and measure it out to see how much is in there. Although I suspect, like packets of gelatin in the US, exact contents may vary slightly. I am English living in paris what flour do I use instead of self raising which I normally use for cake baking? Thank you so much for your informations ! One last question : What about Shortening ? ahaha, omg, thank you, David. I thought I was going mad. Sometimes I browse American foodblogs and the recipes almost always call for Dutch-processed cocoa. I couldn’t for the life of me figure out why all the brands of cocoa I find here in Italy never mentioned the words Dutch-processed anywhere. Now I know why. Thank you! Another thing that drives me nuts is baking powder (often associated to baking soda). Here, too, we’re used to “sachets” of “baking powder” (12-16 grams) which is mixed with other things (I tend not to read the ingredients cos otherwise I’d really never bake again). Sometimes these little sachets are vanilla-flavored. More often than not, among the ingredients they’re undefined “flavors”, which take me back to the “i don’t really want to know”. Well, anyway, when I want to bake cookies or cakes taken from American/British blogs I’m always, always torn on how much to use and and when the things are in the oven, I’m anxious about the results. How do you solve the problem? 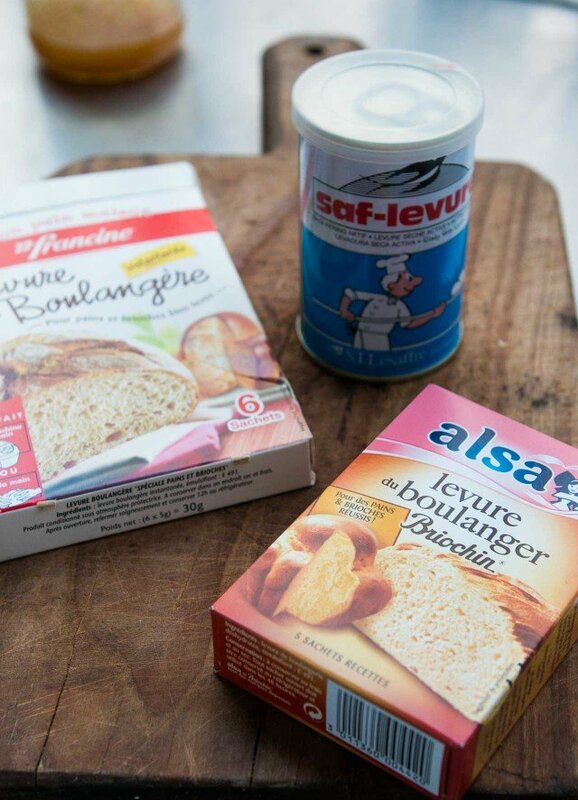 Perhaps, you can find baking powder and baking soda in France, but if not, do you substitute weight-for-weight? Wish I had thought to search online before going shopping! I have been in the Paris area for about a month now and am craving for some home made pancakes! Never thought it would be so hard to find baking powder in my life! I also searched a couple of stores for cream cheese and got to taste a whole bunch of other cheeses, but never found it. Thank you for this website and all your cool information! David, I’m wondering if you could comment on butters. I’ve been posting some recipes on my site that include butter. My memory of butter in the States is that sweet butter is the equivalent of beurre doux (ie no salt) but regular butter is much less salty than the French buerre salé. (Because of this I often don’t specify sweet butter in a recipe where a hint of salt won’t make a difference and since regular butter is what most Americans buy.) Do you think this is correct? Thanks for the post David. Might you address baking soda? Is it different here in France? All of my cookies are coming out cakey instead of chewy. 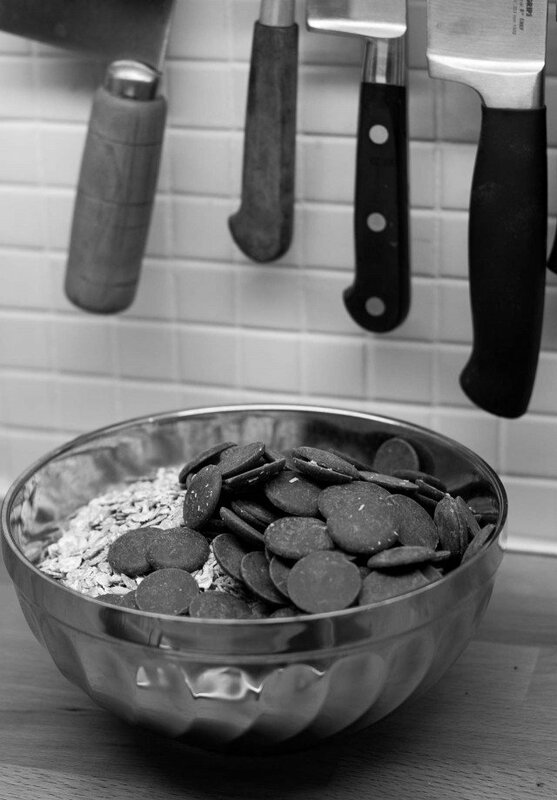 I’ve tried changing the butter, the flour, the sugar, adding/subtracting eggs, using parchment, adjusting oven temperature, refrigerating the dough, etc… and I cannot for the life of me get flattish and chewy cookies. The only constant has been the baking soda (though I have adjusted the quantity). Thank you for any help you can offer! Mags: I’ve not had any problems using the baking soda that’s available here, shown above, as well as the brand they sell at Monoprix. However I did bring back a box of Arm & Hammer on my last trip to the US, since I missed seeing that bright orange-yellow box in my pantry! I would assume that sodium bicarbonate would be the same around the world, but if anyone out there has any information to the contrary, I’d be interested in hearing and learning more about it, too. David, this is a lovely piece, so helpful. But I also enjoyed the fact that it ends with a Body Sleeks bra ad. Hm. Picard has bagels, fortunately!! There’s a little store in the 7th near Ave de Grenelle that sells everything made in the U.S.A- of course ething is priced at least double what it would cost in the U.S, but whenever Im near by I stop to have an on the spot prepared warm grilled bagel with a generous spread of cream cheese, with prices starting from 3 euros (very reasonable)!! MariannaF: I know that Thanksgiving carries H&H bagels from New York, frozen. Oddly, the price is similar to those in New York City. I think it’s about €4.5 euros for four. There’s also a bunch of bagel places in Paris, although I haven’t tried them. there’s also powdered buttermilk (for cooking, don’t, um, try to drink it) that you can bring back from the states, stick in your fridge, and feel smart that you’ve kept on hand. i buy the one from saco when i can’t get fresh stuff. You can make your own brown sugar by mixing 1 cup granulated white sugar with 1 or 2 Tbsp molasses. Just mix it with a fork and you can vary the proportions according to taste. Although when I lived in France I was much younger and wasn’t cooking exactly I remember bringing some of my favorite American supplies be it cooking or other home to France. Love it though and miss it…. thanks for the post it was great! THANKS a million! I had been wondering if it was the oven because so many cookies I had made came out, well, flatter than usual! The info on the flour was infinitely helpful. I’ve been living in France for nearly a year, (my husband is French), and just came across your site today when searching for cream cheese substitutes, and it is FULL of awesome info! Keep up the great work! PS – I will def make the cheesecake brownies this coming weekend! hello! i often reference your site before buying ingredients to bake my southern american recipes in paris. it’s so nice of you to share your hints and tips with us! it also comforts me knowing i’m not alone by realizing so many other americans are searching for the same “basic” american ingredients in paris that aren’t so common here. thank you, david! happy baking! p.s. do you know if there are any kinds of american cooking groups/clubs in paris? 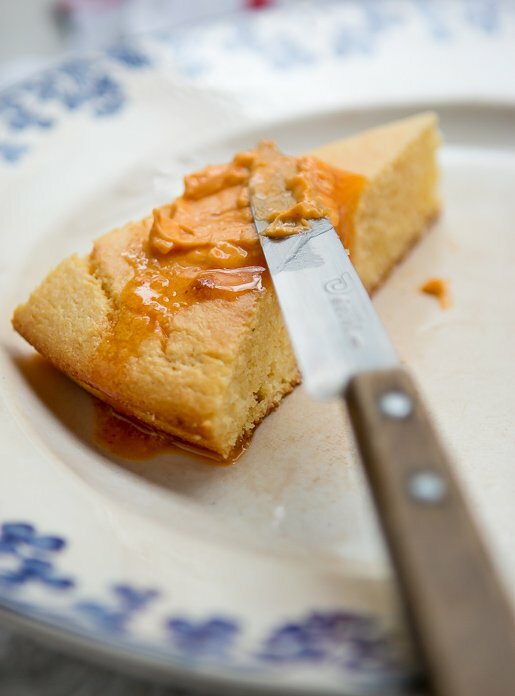 I’m living in Paris now, and trying to make a simple shortbread recipe that works in Canada but does not work in France. Three ingredients: 1 pound of salted butter (450 g, I’m using President brand and i’m weighing it), 4 cups of flour (I’m using T65 from the health food store, and i’m doing the spoon+level), and a cup of white sugar (I’m using the Daddy fine brand, not crystals, not icing sugar). Mix together, put in a pan, prick with fork, bake at 325F (160C) for 45 mins. And it’s not working. At all. There’s something about the butter in France? About the water content compared to North American butter? How might I adapt this recipe to actually have it work in France :) Is there an equivalent to North American butter here for baking (i hate to ask this question, it’s so repulsive). Hi Shelley: The butter in France is mostly cultured, and has slightly more fat than American butter. And the flour is very finely-milled. You might want to try going to a health food store and getting a flour that’s even stronger. Unfortunately I’m unable to trouble-shoot recipes in detail, though, since I’m always tinkering and working on my own! Shelley, I know that recipe and I feel your pain. Canadian all-purpose flour is higher in protein than most American all-purpose flour which means you are looking for the equivalent for bread flour there instead of all-purpose flour. Canadian flour has 16g of protein per cup while a lot of American flours (except king arthur) have 11.5 g per cup (120g). I don’t know if that helps but it definitely confirms David’s suggestion for a stronger flour. Perhaps you could check the protein on the side of the bag? Thanks to David and Chantal for feedback :) I figured out (with some help from Yahoo Questions) that the sugar in France is finer AND the flour is more finely milled than in Canada… so all I had to do was change to weighing the flour and sugar instead of using my measuring cups. Bingo, worked like a charm (after I’d thrown out two complete batches, ouch). In the end I had been adding about 15% too much sugar and had 15% not enough flour — which is a bad combination with a recipe containing only three ingredients, one of which is a pound of butter! Anyway, thanks to David also for the comment “the flour is very finely-milled” because that sent me off to do more research. Hi David, great information. My boyfriend is French (from Lyon) and on a recent visit I was baffled by the milk in France. Why is it kept on the shelf? My morning cup of coffee is an essential and savored part of the day. I like my coffee to be a strong dark roast (not too bitter) with half and half (always half and half). I tried to find it at Franprix and Carrefour but to my utter dismay there was none. I then tried mixing cream and milk but it tasted disgusting and oily. I ended up just using milk but it always had a kind of sour taste. Even my boyfriend has become accustomed to American milk and he thought the French milk tasted funky. We may end up moving there at some point and I cant imagine a life with my mornings filled with bad coffee!! Even the British people we met were shocked that the milk was stored on the shelf. Yuck! Any suggestions? What’s a coffeee junkie to do? Tamra: I, too, avoid the UHT sterilized shelf-stable milk, in favor of the fresh milk found in the refrigerated cases. There is no half-and-half in France. I know its not really used in baking…. but have you had any luck finding chili powder? Hi Dori: Yes, you can find it in stores that specialize in Arab ingredients; it’s called pimente forte. The French have pimente d’Espelette, which is a dried pepper powder from the Basque region, which you can find in most stores that sell foods from France. It’s not super spicy, but it’s very good. I’ve been using your tips in farine T65=unbleached flour is baking in France in doing fine, thank you DAVID!! I have another dilemma. I saw a mini chocolate chip cookie that I want to make for my daughter’s birthday party in Heidi’s 101cookbook, I could not in the life of me find an equivalent for whole wheat pastry flour!! Yikes!! Any ideas that you can feed our obsessed-eating minds?? Barbara: I don’t know about whole wheat equivalents, but I would imagine you could use type 65 white flour. Health food stores carry a variety of whole wheat flours and if you ask for one that’s the ‘softest”, that’s likely similar. If not, if you want that whole wheat flavor, you could add mix a heaping spoonful of whole wheat flour with the white flour in Heidi’s recipe. Happy baking! Indeed a great post. I had no idea that the cocoa powder here was mostly all dutch processed, I was looking for some, but like you said, it isn’t marked as such! Good info about the flour types also, the 55 doesn’t behave quite right. That being said, I assume the organic 62 is expensive. I’ll look into that. But on the cream cheese. What do you use for your cheesecakes? I tried kiri, and it was just ok. I tried St. Môret because the flavor is better, but found it too soft. And I read Neufchatel is a good choice, but have yet to try it. We have lived in Normandy for 3 years and always used lait cru. One time this was not available and I bought Bridel entier, with the red label and lid. Our coffee was twice as nice and we now buy it all the time – it is dearer than the lait cru, but the taste makes up for the expense. Thank you David, good information even for a Brit living in France, but with US connections – i.e. daughter. We sometimes feel that we are living on an island and have to go back to the mainland for supplies – luckily we have friends who live both in England and here, so supplies are easy – always keep Golden Syrup, English self-raising flour – although when I can find Farine Gateau I can’t really see any difference. Levure chemique is baking powder, but have never needed to use it. Thanks to everyone for their comments – all very helpful and interesting. Hi David, I’ve been making banana cream pie in Lyon since it got really hot here. I’ve been having trouble making proper whipped cream (It just seems so dumb to buy it in a can. Plus I sometimes like to replace the sugar with splenda.) So creme liquide doesn’t do it! It won’t stiffen up right. I’m assuming it doesn’t have enough fat. I tried haphazardly adding some creme fraiche to see if that would help, but no luck. Do you know what the difference is between american whipping cream, and the french creme liquide? Once I have the right fat contents would adding the correct amount of creme fraiche make up for it, or is there some property about creme fraiche that I don’t know about? Also I’ve been using petit beurre cookies in place of graham crackers, but I find it is too sweet. It overwhelms the pie. How important is sugar in crumb crusts? If I reduce the sugar in half is it likely to fall apart, or would I be better off trying a less sweet cookie? Any suggestions? Thank you in advance!!! PS. I haven’t been making regular pie crust because my pie plate doesn’t fit into my toaster oven :) Also trying to make cream cheese desserts with fromage a tartiner which is softer than cream cheese and then runny whipped cream…. I won’t even tell you, my 4th of July cream cheese pie cherry dessert was a disaster. Hi Dori: I don’t know anything about artificial sweeteners, but avoid using UHT cream, which unfortunately, is what’s too-often available here, as it doesn’t whip well, if at all. Super helpful post; now I’ve got to rethink what I am bringing to Paris. Any advice as to what to pack? I’m moving to Paris in September to be an au pair, and definitely want to impressed my family. I’m sure leaving my sweatpants and flip flops at home will make room for a 5 lb bag of AP flour, but any recommendations of things that should definitely bring? Also, as I read you FAQ’s and now know you’re not the person to ask about internships, but do you know anyone who would be willing to take on an American stage with no French skills whatsoever (I will be taking classes), no formal training, and minimal stage experience? I promise I’m a hard worker and I learn fast. I just need want to try this pastry thing out before I decide whether or not to go this route or fork over 30-60 grand on culinary school..
Lastly, is there a taco truck replacement in Paris? It’s what I miss most when I travel, a super grilled chicken burrito with everything on it from Gordo Taqueria. Thanks! There’s no taco trucks in Paris, unfortunately, but if you’re interesting in an internship, check out my post: Doing an internship in France for tips. I am so relieved to see this post. I’m in Tuscany and nothing I bake comes out like it did back in the US. I’m glad to hear that it is probably not me but the ingredients! I thought I was going crazy. I wish I could find a similar list for Italy. For now I have my mom mail me real vanilla extract, baking powder, almond extract, oatmeal, chocolate chips….I could go on…..
Oh I’m so glad I found this article! One question – what about shortening? I have purchased graisse végetale, but it seems to be much softer consistency than say, american Crisco and really altered my result of a family cookie recipe. Have you found a good replacement en France or is this something I need to bring back with me from the US? Baking soda can also be found at pharmacies, I learned this recently.